Gaelic Football is one of the most popular spectator and played sports in Ireland. Although an amateur sport, the demands on players are akin to that of professional athletes at club and county level. With increasing demands comes increased injury rates, with Gaelic football carrying a greater risk of injury than soccer but a lesser injury risk than rugby. In an 8- year study, it was revealed that 70% of GAA players are subject to sport-related injury. 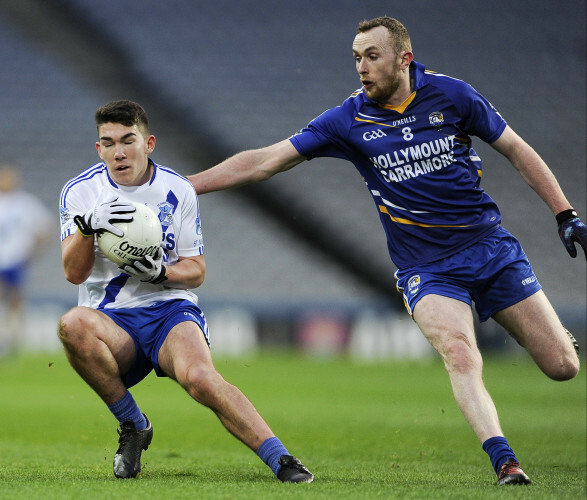 76% of Gaelic football injuries are lower limb injuries. 80% of injuries are non-contact in the sport. Similar to soccer and rugby, the vast majority of GAA injuries occur during match play. GAA players are 15 times more likely to suffer an injury during match play rather than during training. Nearly 75% of recorded GAA injuries at a given time are first time injuries. Muscle is the most commonly injured tissue in GAA players accounting for 43% of overall injuries. Fractures are relatively infrequent amounting to 4% of overall injuries. The single most common injury by far in GAA is hamstring injury, making up 23% of overall injuries and over half of muscle strains. Ankle ligament sprains are the second most common making up 7% of GAA injuries which are closely followed by adductor strains which is the 5-muscle group of the inner thigh/groin. In this blog series we will take a closer look at the three most common GAA injuries and a sports specific preventative program.